Now that his six-year marriage is officially dunzo, Tiger Woods is apparently feeling a little blue. It's been nine long months since the golfer's numerous extramarital affairs were exposed, and Woods told AP it's a sad time in his life because "you don't ever go into a marriage looking to get divorced." 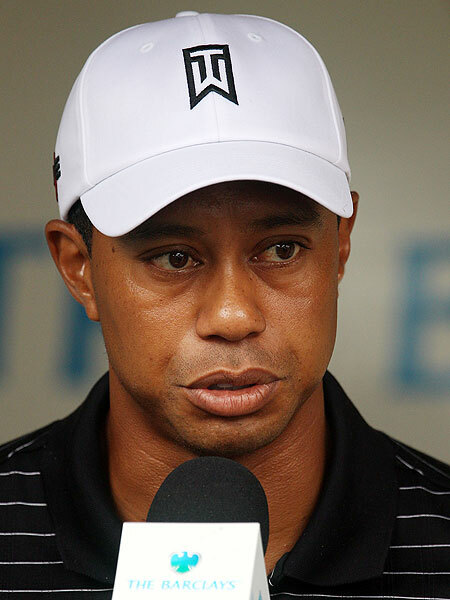 Although he returned to golf Wednesday at The Barclays, the same day People released an interview with his ex-wife Elin Nordegren, Woods admitted the sport is now second in his life; his main priority is helping his two young children adjust to a life with divorced parents.